Click here to read other Vegan’s thoughts from the Vegan ACT facebook group. From Massel: Massel stock powders are gluten-free, vegan, and suitable for people with Coeliac Disease. 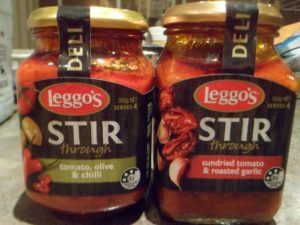 They come in three delicious flavours, a classic vegetable blend, a vegan chicken style stock and a vegan beef style stock. 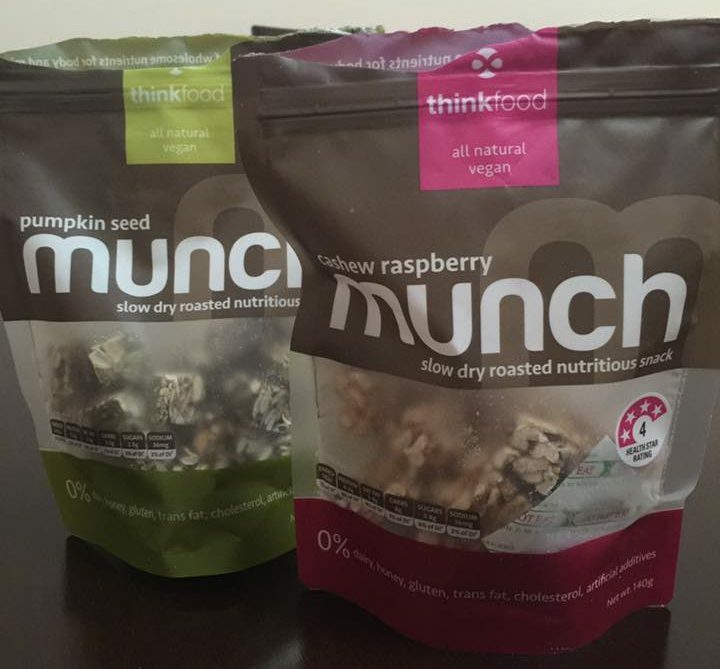 From Maker: Munch – a truly nutritious blend of slow dry-roasted nuts, seeds, dried fruits and a tiny dash of sea salt. Our dairy-free, gluten free and wheat free healthy nut snacks are free from artificial preservatives, colours and flavours. 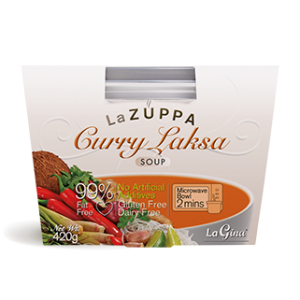 LaZuppa Gluten-Free Soups have 10 Vegan soups. 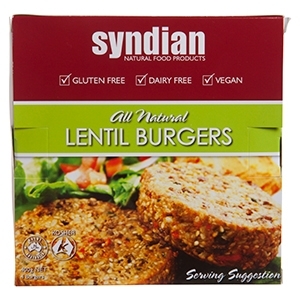 Click here to see the full Vegan range with ingredients. Curry Laksa Soup: An authentic blend of traditional Thai flavours with fine rice noodles. Italian Minestrone Soup: A delicious blend of vegetables and legumes made to a traditional Italian recipe. Lentil Soup: A tasty combination of vegetables and lightly spiced lentils. Minestrone Soup: A delicious blend of vegetables and beans made to an authentic Italian recipe. Moroccan Pumpkin with Chickpea Soup: An aromatic blend of spices, pumpkin and chickpeas. Pumpkin Soup: A favourite winter warmer full of wholesome sweet pumpkin. Roasted Pumpkin Soup: A wholesome soup filled with sweet roasted pumpkins. Rustic Vegetable Soup: A delicious blend of hearty vegetables with bortolli beans. Spiced Red Lentil Soup: A delicious blend of lightly spiced red lentils and aromatic herbs. Tom Yum Soup: An authentic blend of fragrant Thai herbs with distinct hot and sour flavours. 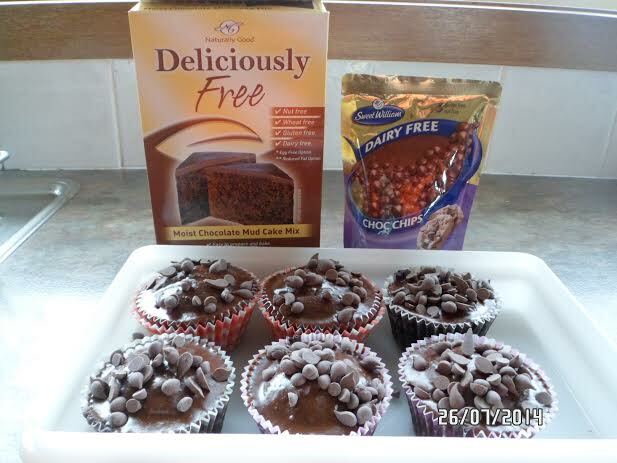 I used this mudcake mix to make cupcakes and made icing out of icing sugar, cocoa and soy milk and topped with Sweet William choc-chips (we understand that the palm oil in the choc-chips is from a sustainable source). Rowena’s tip: You can also just melt vegan choc-chips and have a choc-top cupcake instead of icing. Sweet light rice milk. My favourite kind of milk! 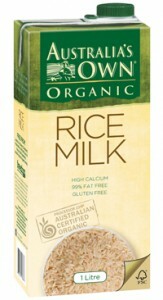 Ingredients: Filtered Australian Water, Organic Rice Flour (10%), Organic Sunflower Oil, Aquamin (Organic Calcium), Salt. (250mL = 38% of recommended daily calcium intake). 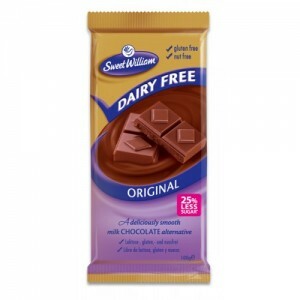 Easy to find Vegan chocolate. 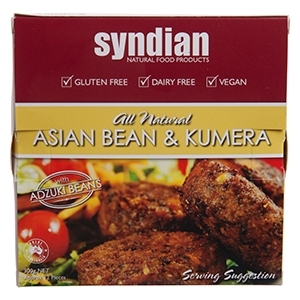 Ingredients: Raw Cane Sugar, Cocoa Butter, Soy Flour, Cocoa Mass, Maltodextrin (From Maize), Inulin, Emulsifiers (Sunflower Lecithin, 476), Natural Flavours.